Before you can run any queries, you will need to set up a connection to your data sources. NOTE: The format of Data Sources is slightly different for Version 3. Select a JDBC Driver. 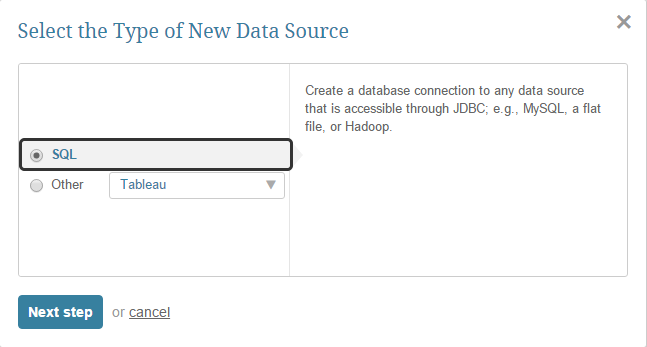 The Port number as well as JDBS string are set by default, based on your choice of JDBC Driver. Change it if necessary. NOTE: If you do not see the the driver that you wish to use in the drop-down provided, contact Metric Insights for assistance. 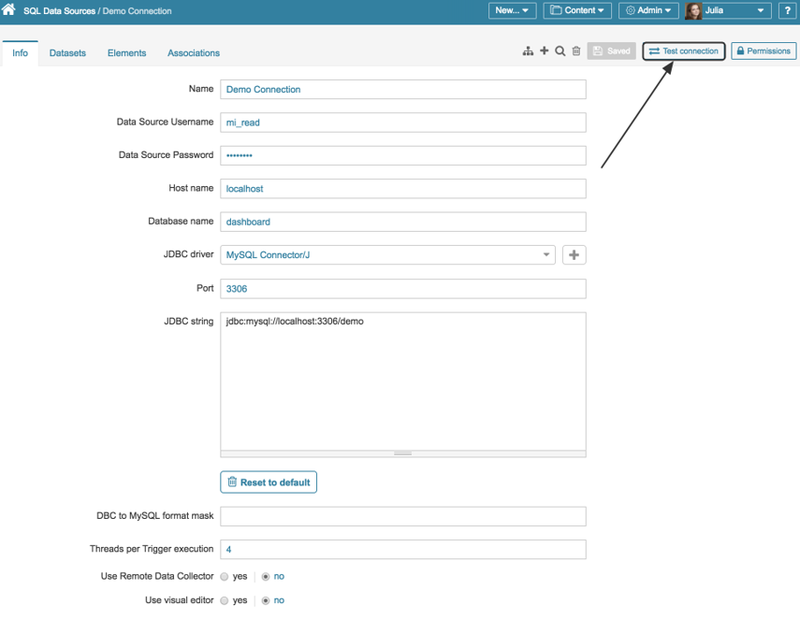 NOTE: The JDBC string will be created automatically based on your other inputs. In some cases, however, it will not be possible to infer the correct string without additional inputs. If the Connection Test fails, please check the documentation for your JDBC driver. NOTE: It is not possible to directly test Hive connectivity from the connection editor since there is no standard query that can be run against a HiveQL instance. 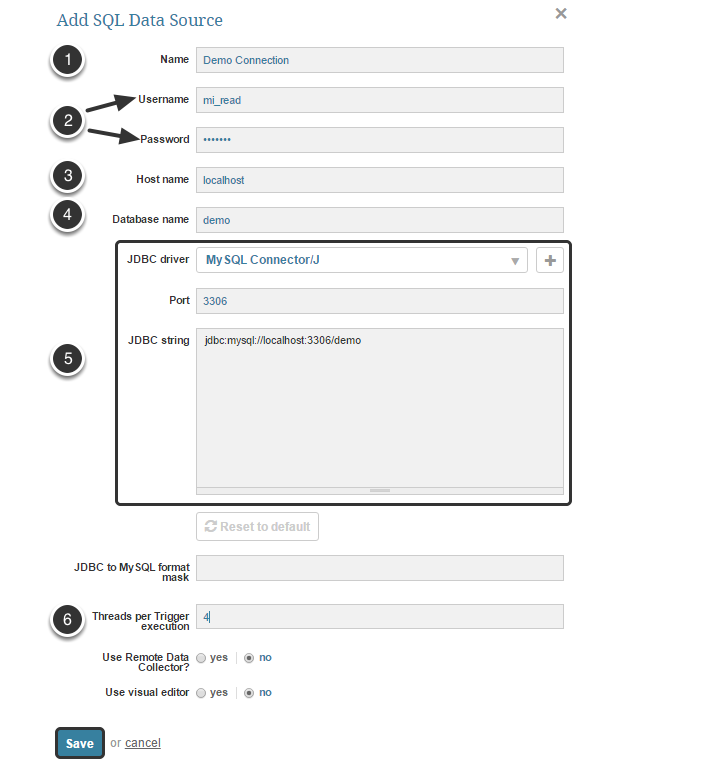 Contact Metric Insights for assistance in validating a HiveQL connection.